The hotly anticipated game Red Dead Redemption 2 is due for release on Friday (26 October). The western-style adventure is set in the aftermath of a failed train robbery and is actually the prequel to the original 2010 title. It’s the first major release for studio Rockstar Games since the launch of Grand Theft Auto V in 2013. Reviewers have praised its advanced graphics and storytelling, but the studio has also faced criticism. Here are five things to know about it. Red Dead Redemption 2 requires 107 gigabytes of installation space on the Xbox One. On the PlayStation 4 it’s 99GB with an extra 50GB required for installation, the studio has said. According to the games site Games Radar that makes the game the heftiest PS4 download ever. Second on its list was Battlefield 4 Premium Edition, weighing in at 71GB. The game is so big because of its expansive world and attention to tiny details (more on that in a moment) – but it could prove an obstacle to fans with slow broadband and limited storage. One of the reasons why the game is so enormous is that there are a lot of exquisite little details. The detail that has inevitably caught everybody’s attention is that apparently when the weather is cold, a certain part of the horse’s anatomy can be seen to shrink. 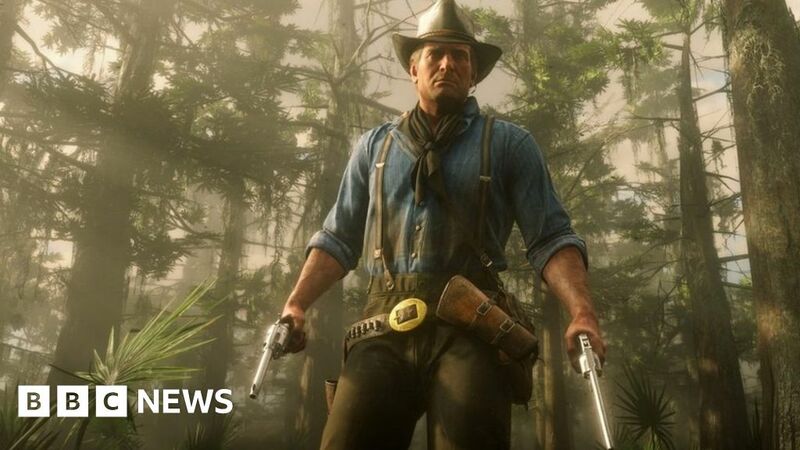 Like in Grand Theft Auto, the weather conditions and even interactions between the 200 species of in-game wildlife are auto-generated, and each item held by the main character, Arthur Morgan, is individually rendered so it moves in its own right as he rides on his horse. Speaking of horses – in Red Dead Redemption 2, if your horse dies, it stays dead. You won’t see it again. People are very sad about this. When horses die in Red Dead Redemption 2 they actually die, not pretend death, they don’t come back to life, they are completely dead, fully expired, a loss only realised in its entirety years later, saddlebags of grief. In a Vulture magazine interview, Rockstar co-founder Dan Houser praised staff for working 100-hour weeks to get Red Dead Redemption 2 finished. It had already missed two previous launch dates – Autumn 2017 and Spring 2018 – on the grounds that it wasn’t ready. Mr Houser has since clarified that he was referring only to himself and three other members of the senior writing team. However so-called “crunch culture” is a controversial area of games development, where developers can be asked or feel obliged to work long hours in the run-up to a title release. “The problem is that most people in games get into games because they love them, and that lets companies take advantage of these,” said Grand Theft Auto and Lemmings creator Mike Dailly. Dan Houser told Vulture magazine that the 60-hour story mode was shortened from 65 hours in the edit by abandoning a love interest. For context, experiencing everything Grand Theft Auto V has to offer would take more than 100 hours, Mr Houser told The Guardian in 2013 when it came out. However it’s often said most gamers don’t ever finish a game – CNN once put the figure at 90%.